North Barrington, IL – November 7, 2014 - Old Barrington Farm trainers Amelia McArdle (hunter/jumper) and Nichole Smith (dressage) are hosting a rider education series beginning on Wednesday, November 12, 2014 at 6:30 pm, with a complimentary Wine and Cheese Reception and Seminar with equine nutritionist Tigger Montague. The series will continue on Saturday, December 6th and Sunday, December 7th, with a Frank Madden riding clinic for hunters and jumpers and will conclude on Saturday, December 13th and Sunday, December 14th, with a Jan Ebeling riding clinic for dressage. To kick off its fall education series, Old Barrington Farm has invited nutritionist Tigger Montague to talk about equine nutrition. Montague's career in the nutrition industry, both human and equine, spans over 32 years and includes the launch of the first equine herbal supplement company back in 1988. Working with Dr. Tim Ober, the USEF Show Jumping Team veterinarian, Montague applied her extensive knowledge of whole foods to heal her own Grand Prix dressage horse, Lionheart, when he was diagnosed with inflammation of the bursa that would not heal despite extensive veterinary treatments including shockwave, Tildren, HA injections, NSAIDs, and Isoxuprine. 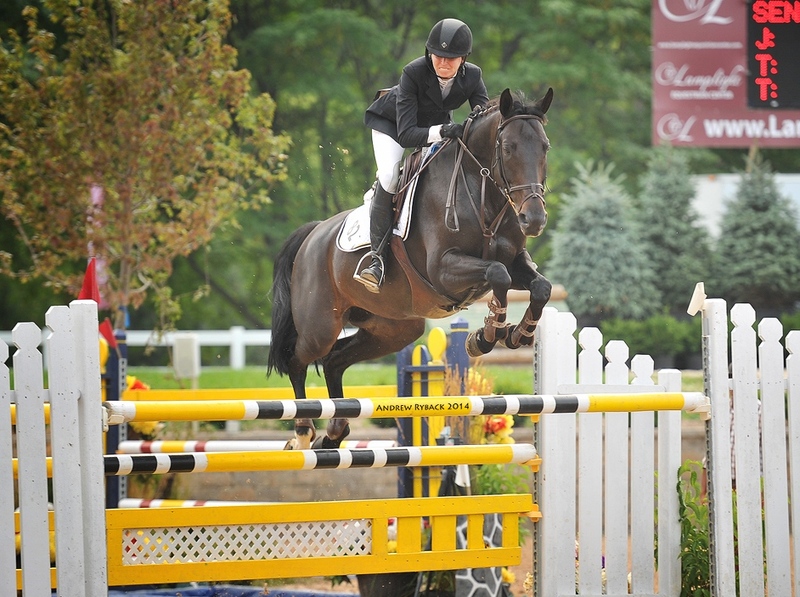 When Lionheart became sound and went on to compete, Montague founded her own company, Biostar, recognized as a leader in whole food supplements for horses. Old Barrington Farm trainer and Grand Prix rider Amelia McArdle is excited about the upcoming seminars and clinics taking place at her barn. From working over the years with the best hunter jumper trainers in the United States today, including Katie Monahan-Prudent, Chris Kappler, and George Morris, Amelia knows that excellence in riding and training must have excellent horse care and basics as a foundation. “Being competitive in the show ring starts with knowing your horse very well and working hard at home,” McArdle described. Dressage trainer and CDI competitor Nichole Smith, of NS Dressage, has been organizing and presenting regular dressage clinics at Old Barrington Farm over the years with a variety of professionals including Five Star Dressage Judge Lilo Fore, Steffen Peters’ assistant Lientje Schueller, and Olympian Jan Ebeling. 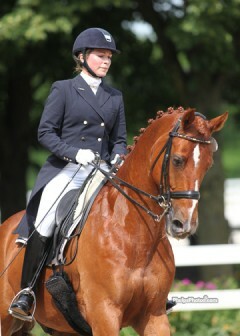 Nichole has applied her slogan, “Competing with Compassion,” to her own equine partner, Ebikur, a 13-year-old Oldenburg gelding owned by Patricia Gillian, raising “Elmo” from a 4-year-old to his current successful Grand Prix career. Old Barrington Farm is the premier Midwest equestrian center built by the McArdle family on over 60 acres of rolling land in the Village of North Barrington, Illinois, a northwest suburb of Chicago. Old Barrington offers boarding and training programs in a state-of-the-art facility featuring a spacious heated indoor ring, outdoor ring, grass field, all-weather and grass paddocks and trails for riding. Just a short trail ride from the Equestrian Center, Old Barrington Estates is a unique residential community comprised of just 7 beautiful home sites ranging in size from 4 acres to over 9 acres. Each home of Old Barrington Estates may have its own private horse barn and has access to the Equestrian Center’s amenities. For more information regarding the clinics or Old Barrington Farm, please visitwww.oldbarringtonfarm.com and www.obestates.com.